As a way of expressing our gratitude, for any gift of US$25 (or CAN$25, or €25) or more, we will send you the books Steps to Christ (see below) and Is It Possible to Live Without Sinning?. Or take a look at our complete library: almost 150 books are available! 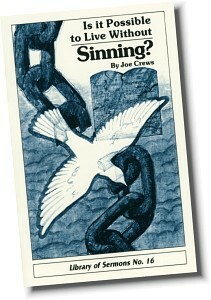 Popular theology teaches millions that no one can really live without sinning. As a result, many Christians are living weak, defeated lives. This helpful book provides assurance that it is possible, through Christ, to achieve total victory over sin.